One of the most popular websites for downloading high quality videos is Vimeo. Vimeo is a one-stop destination for all the people who are looking forward to download the latest videos in high video quality. However Vimeo does not allow its users to download the videos directly to their computers. The users must use the video downloader for this purpose. There are several resources in the market that will provide you the facility to download Vimeo videos in high quality. However when you start using them, you'll find out that the quality of video you have downloaded isn't in the video quality you need. So it's the time when you realize that you need the best Vimeo to MP4 downloader in your laptop so that you can enjoy Vimeo videos in high definition whenever you want. If you looking for some good Vimeo to MP4 downloader, then iTube Studio is the perfect software package for you! It contains a number of features that will make video downloading and conversion much simpler for you. The integrated search engine offers you the facility to surf through the unlimited number of online videos. However you can also use your browser for searching videos and just paste the video url in iTube Studio to start downloading it in high quality. Here are the detailed steps on how to use iTube Studio to download your favorite video from Vimeo. Download and install iTube Studio on your computer, then start it. The program will display the main interface of video downloading. Now go to Vimeo and find the video you want to download, then copy the video URL in the address bar. Click the Paste URL button at the upper left corner of iTube Studio, and the program will automatically anaylze the video then start downloading. When the download finishes, you'll be able to find the downloaded video in Downloaded category. 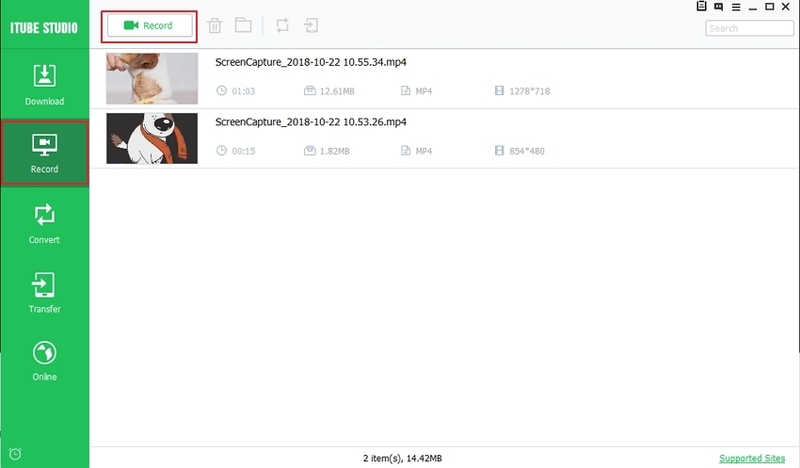 If you want to locate the downloaded video on your computer, you can right-click the video and choose open file location. Kastor free Vimeo downloader enables you to download Vimeo videos without logging in. The software is free of cost and you can easily download it from the above link and enjoy all its benefits for lifetime. Kastor free Vimeo video downloader supports a number of file formats other than MP4. So you cannot only download videos in MP4 format but also in several other formats like avi, mpeg and so on. Kastor allows the feature of batch downloading which means that you can download more than one video at the same time. The software also provides a number of configuration settings so you can change it according to your requirement. If you are looking for online desktop Dailymotion to MP4 downloader, then KeepVid.com is the perfect solution for you. This online video downloader is free of cost and can be used to download videos in high resolution from Vimeo. The user-friendly interface of KeepVid.com helps to download videos quickly. The user just needs to paste the video URL he wants to download and then wait a while. The website is completely safe from any kind of malware thus you can open it securely in your computer. Most of the malware travel to the customer’s computer with plugin but keepvid.com does not require any kind of Java plugin thereby eliminating the threat of malware completely. The website is completely compatible with mobile phone and OS like android so the user can conveniently download the videos from their smart phones too. The website supports incredibly fast download and you can convert your videos to MP4 too. 1. How to Auto Play Vimeo Video? If you want to auto play Vimeo videos on your blog or any other website, you can now easily do so by embedding the video that you want to download. Embedding the video on your website will just make it functional. However to auto play the video, you will just have to add “autoplay=1” value at the end of your video URL. Once you have done so, the blog will auto play the attached Vimeo video quickly. 2. Vimeo private video - How to Share Private Video? Sharing private videos on Vimeo is a highly-secure process and you can easily do it with the help of "Share" button. If you have uploaded your private video on Vimeo with “only me” as the option, you will not be given the sharing option. However if you have only protected the video from unknown public, you will be given the option of sharing with password protection. Just hover on the “share” button and you will be able to see a list of options. You can share your private video with those who can view it after entering the password specified by you. You can share your private video not only on social networking websites but you can also embed it in an email. 3. What is Vimeo Upload Limit? Vimeo has enforced a number of measures for its users to keep the website healthy and one such enforcement is a restriction on the upload limit. The upload limit of a user depends on the type of account that he/she is holding. For basic account holders, 500 MB is the video upload limit per week. On the contrary, for plus account holders, 5 GB is the video limit that they can upload. However if you hold a pro account, your upload limit can be as much as 20 GB per week! 4. Vimeo Not Working - How to Solve It? If you are trying to open Vimeo from a long time but it does not open, then there can be several reasons behind it. One of the major reasons could be incompatibility with the browser. So try opening the website through some other browser and it might solve your issue. Another reason behind the failure of Vimeo is because of its requirement of flash plugin. If the flash plugin is missing in the browser, Vimeo will just refuse to open. Try to install flash plugin and then you can solve this issue.